Please be early to help lay out the equipment etc. When you arrive it may be necessary enter your car details into the terminal, as we are awaiting confirmation from the social club that the computer has been updated. 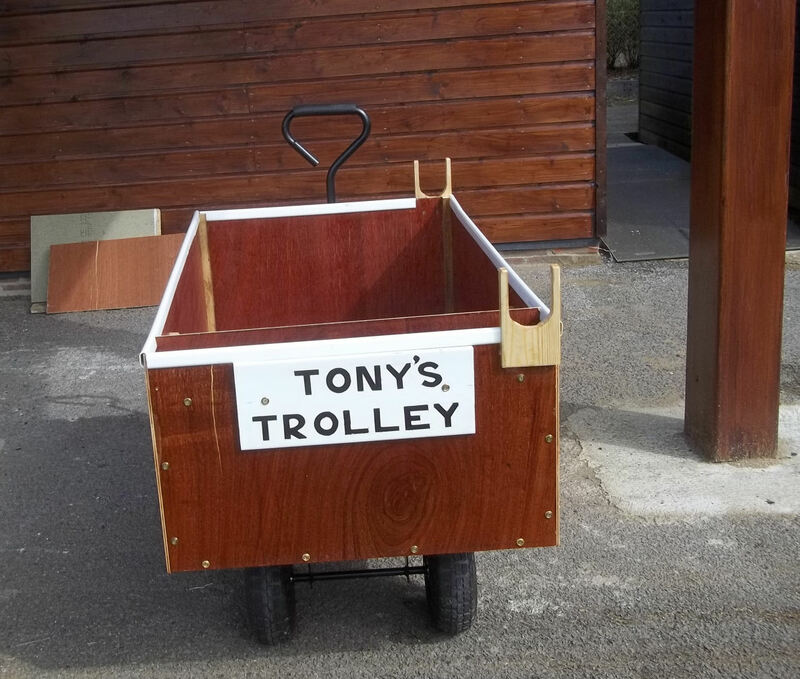 for Tony Bannister, "Tony's Trolley" will be useful for carrying all the heavy tools and 'bits and bobs' around the green! Tony would have been happy to see the trolley in regular use - RIP Tony! details of which will follow early in the new season. The work on our changing rooms is now complete, both are now larger than previously. Our thanks go to Dave Hook, Colin Whittaker and Ray Jefferies for many hours of hard work and a job well done. towards the work and the balance will be paid by the social club. we did enter 3 teams last year to support our charity and had a lot of fun, will let you know when we have the arrangements. A new company will be controlling the car park shortly with a new system, it is assumed that members will continue to have free usage, more information to follow. All members are requested to encourage friends, relatives, neighbours etc to join the club for the coming season. We do need new members and personal contact seems to be the most effective way of attracting new players. Finally, for those still reading, Ted Skelton celebrated his 90th birthday on the 9th of February, Happy Birthday Ted! while Amy Truran retained her Ladies Singles trophy by beating Shaaron Whittaker 21 shots to 9. 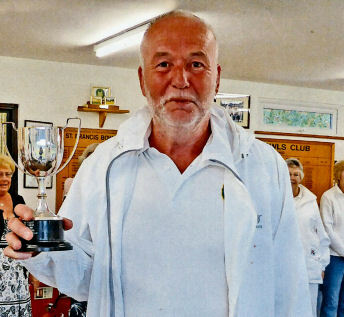 In the other finals Marge Breading, who took part in fours matches, beat Dave Hook by two sets to 1 in the Whicker match. The Never Won Singles was won by David Macmillan who beat Robert Grainge by 21 shots to 7. 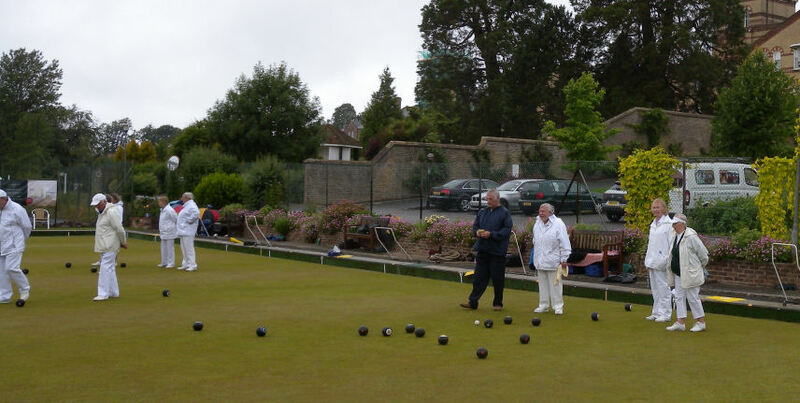 In the Handicap Marge Breading the went on to beat Owen Travis by 24 to 12. In the Drawn Pairs Doug Jones and David Macmillan beat T Cole and Molly Batchelor by 24 to 12 shots. 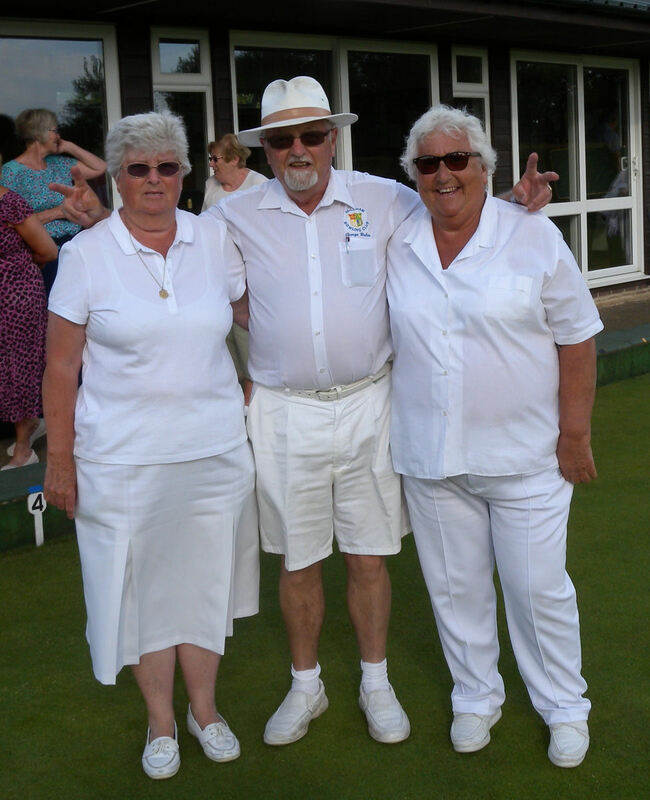 In the Mixed Pairs Mike and Amy Truran scored 18 shots, winning against Marge Breading and Tony Jarvis who scored 13. 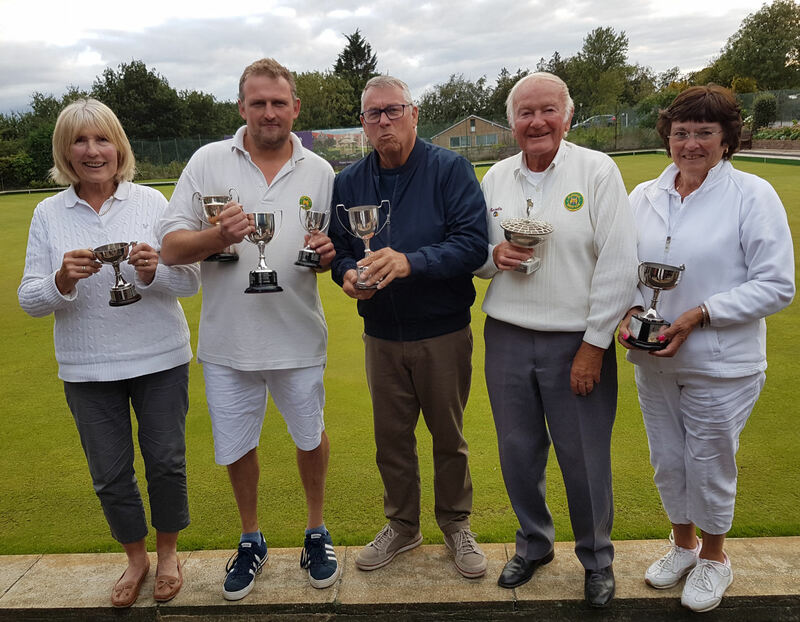 And finally the Consolation Cup was won by A Thorogood, who beat Julia Larkin. 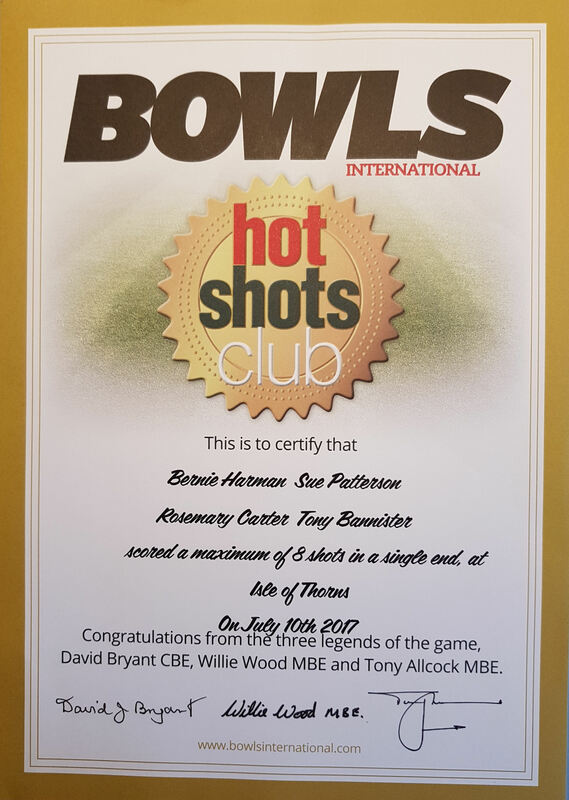 The St Francis team of Bernie Harman, Sue Paterson, Rosemary Carter and Tony Bannister(Skip) scored a "Hotshot" at Isle of Thorns in the John Spriggs league match on 27th June 2017. The team scored all eight shots in the second end of the match. The St Francis members won the rink by a total of 36 shots to 4. Harry and Carol Wells and Tony Szylka. Tony and Lynda Pipe and Alex Parsons. Neither team is specifically associated with a club. 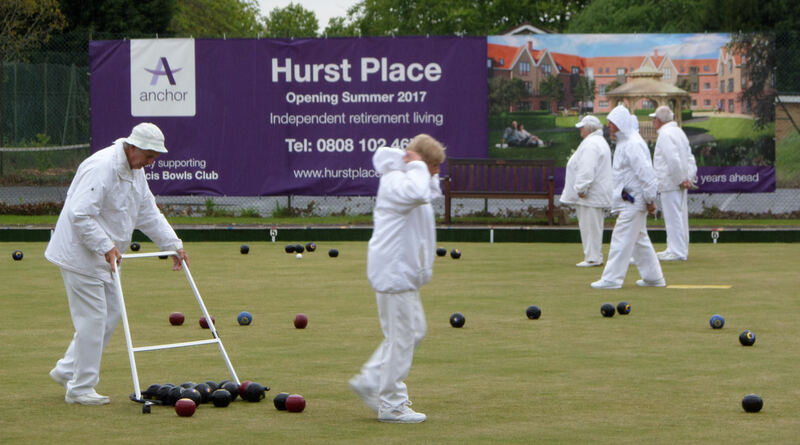 A large banner advertising the Hurst Place retirement complex was installed on the tennis court fencing. 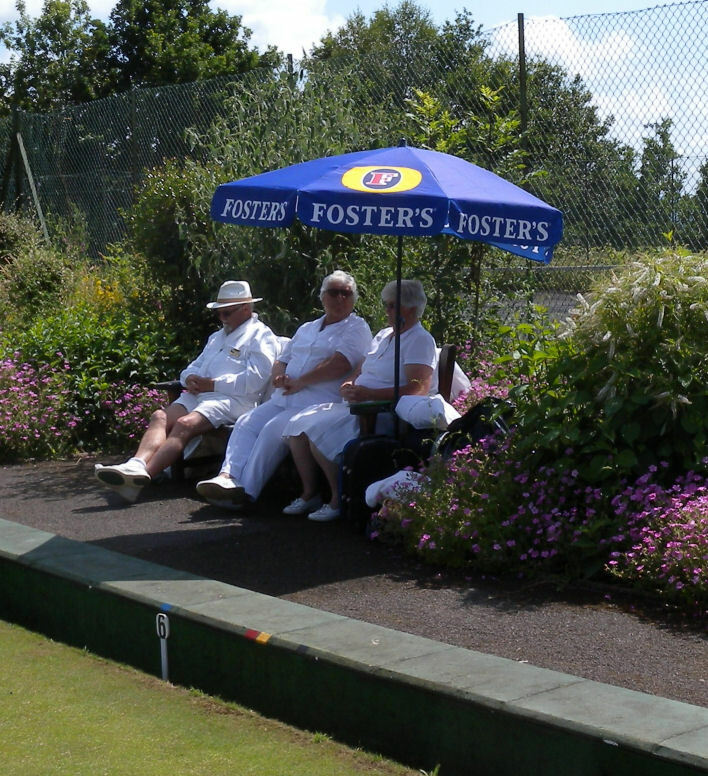 The developers are sponsoring the club this year and have provided new pushers and scoreboards, replacing the old ones, which were well past their prime. 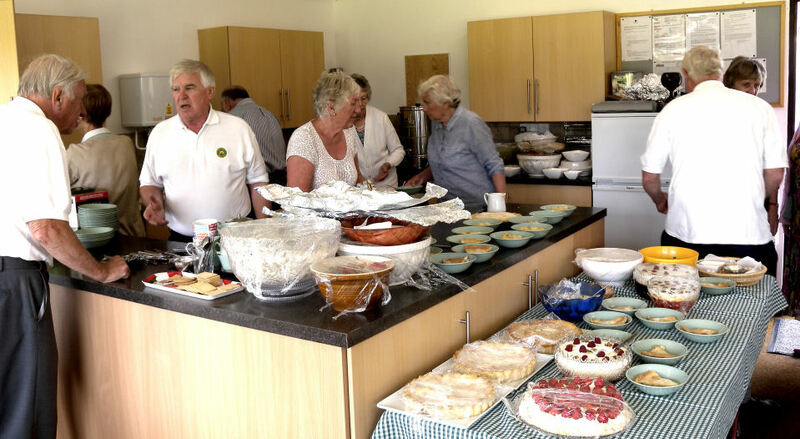 The Club enjoyed an excellent buffet lunch amid a lively atmosphere. 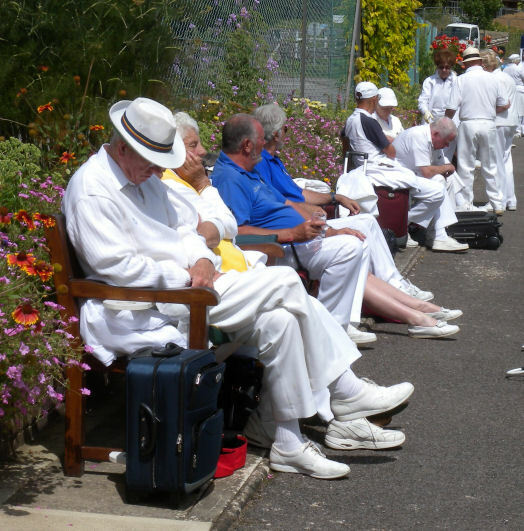 with St Francis Bowls Club. 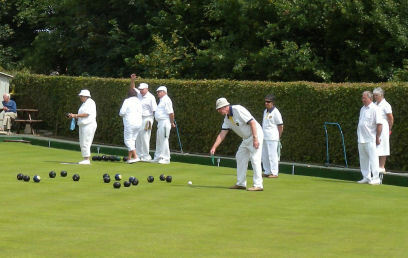 The annual St Francis Charlie Wren Memorial Tournament took place on Sunday 10th July when 18 visiting teams took part. 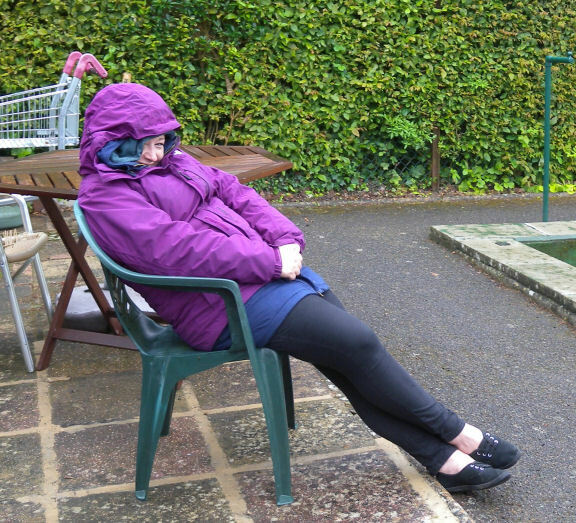 most seemed to enjoy the day despite the weather. The excellent catering certainly helped here! 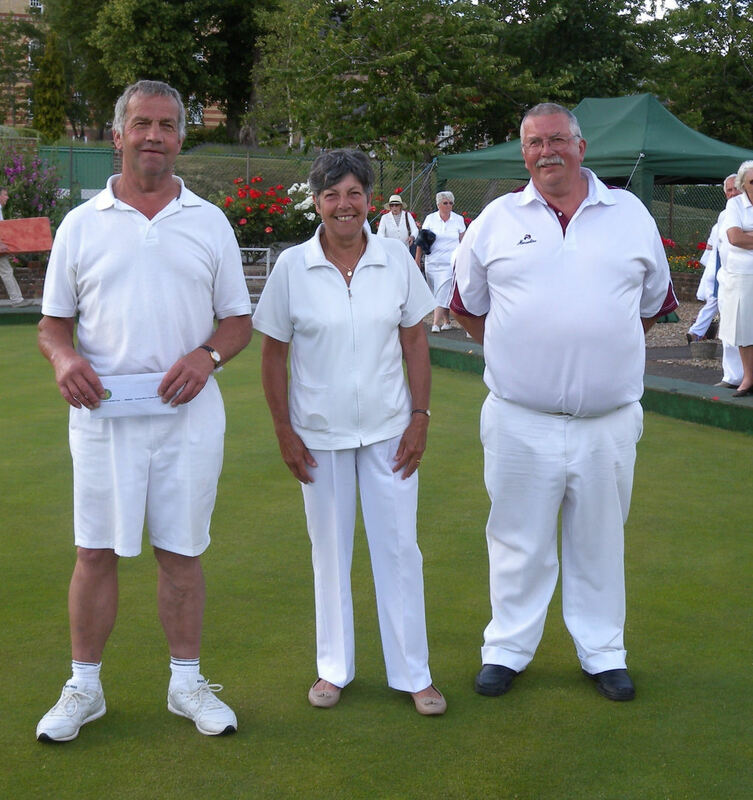 Pat Donohue, Molly Batchelor and John Truran from the St Francis Social and Sports Club. 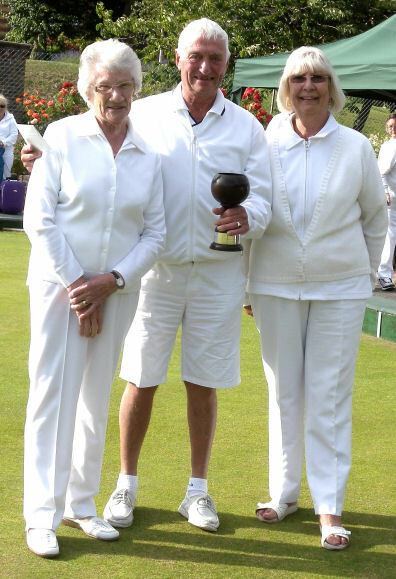 The runners-up were Pat and Corinne Urben and Lynn Walsome from Uckfield. 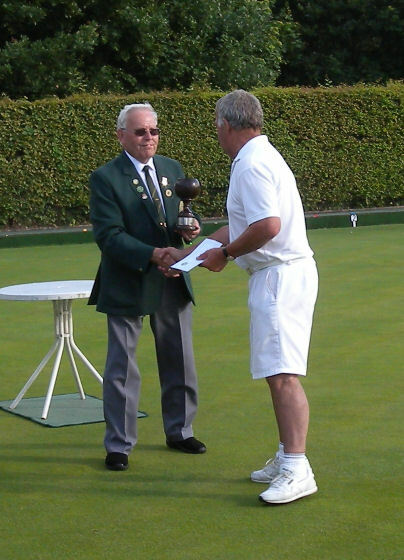 The ABC Cup for 2015 was presented to Dave Hook. 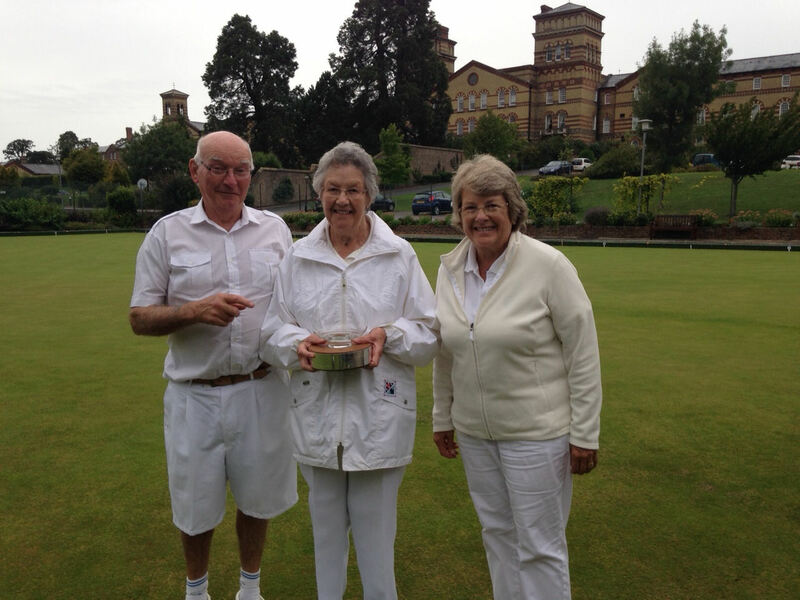 John Lander, Gilly Bannister & Julia Larkin won the 2015 Jubilee Trophy as the Captains team. 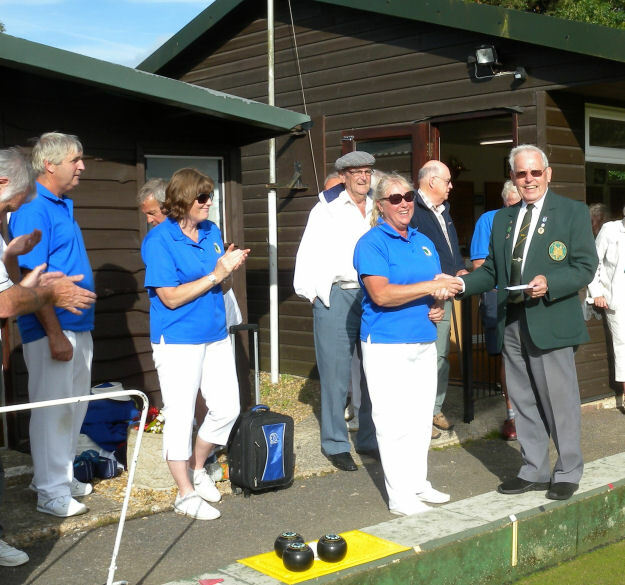 Each year the captain chooses a charity, this year Captain Molly Batchelor's charity was Macmillan Cancer Support for which a the current total raised is £435, with more expected shortly. 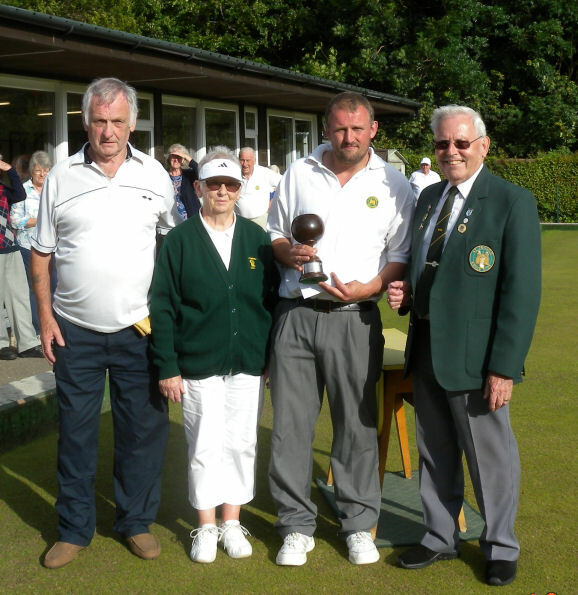 The 2014 Winners The 2014 Charle Wren tournament was won by John and Margaret Hawkins and Marian Ayling, a combined team from Buxted Park and Haywards Heath Bowls Clubs.